Our backconnect proxies are compatible with any software that supports both HTTP(S) or Socks 4/5 protocols. With Microleaves residential proxy network you will get zero blocked websites. The Microleaves network consists of millions of nodes with residential IPs and geographic coverage of every city in the world. Microleaves P2P routing service allows consumers to browse anonymously, by routing their requests through other users. We enable businesses to route their requests through the biggest P2P proxy network. Our network is perfect for Crawling and Data Mining. You can Sign Up and create your billing account. Choose your membership and provide payment information. You will also need to provide a list of static ip address from your network for authenticaion. Everything is fully automated and orders are processed within few minutes by our system. Unfortunately we no longer offer trial for our services due to abuses. We have however a 3 days money back guarantee for all our produts in case our services is not what you were looking for. Proxy location can be selected from the control panel or using our api only with our Special Backconnect. We also allow to select country per port groups. What are Special Backconnect proxies? Special plans enables Socks protocol, geo targeting and also allows our ips to be used on ticketmaster, axs, stubhub, social websites ( facebook, twitter, pinterest, instagram, youtube, soundcloud, linkedin ), amazon, craiglist, email websites ( yandex, outlook, apple, gmx, inbox, myway, zoho, yahoo, aol, gmail ), skype, wikipedia, xtremetop. We allow our proxies to be used only for webmailing. By default all smtp ports are blocked on all our ips and we are doing our best to keep the ips as clean as possible and not being abused. All our proxies are 100% anonymous and not being detected as proxy. Our ips are detected as normal users because of the residential isp. How much are you charging for Bandwidth? We're proud to offer zero bandwidth fees while some other providers might charge you per-gigabyte we charge for port number with unlimited traffic. If you are in need of some custom plan designed especially for your needs then you are in the right place. Don't forget to ask for discounts on larger plans. Do you offer dedicated pools? We have many clients that are working with us and have their own dedicated pools. A dedicated pool is basically used only by that client and he is paying only for the installs that his pool has. Feel free to contact us if you have any questions. How is Microleaves different from TOR? Compared with Tor, we have a different model of service: While TOR has around 20K IPs, which are all marked and identified, our peer to peer (P2P) network has over 26 million residential IPs that are not identified as Proxies/Tor.  Our architecture, which has an inbuilt IP rotation management layer, allows you to use our P2P network for sending your HTTP / HTTPS / SOCKS requests via millions of IPs in every country and every city worldwide. With the right architecture on your side, you can achieve a failure rate of less than 1%. We allow you to use our service, provided you are using it for legal and legitimate uses and in compliance with our license agreement. It is up to you to make sure that the way you use the service complies with the laws applicable in your country. The use of a crawler to extract data from a website may be done legally in relevant business relations. Under certain circumstances and in some specific jurisdictions, crawling may be in conflict with applicable regulation or in violation of the particular terms of service of the crawled site. Therefore, prior to engaging in crawling activities of any sort, you should consult with a lawyer authorized to provide legal advice in the territory, and read carefully the applicable terms of service.